Craig's Hut -"The man from snowy river" - Adventures from where you want to be. 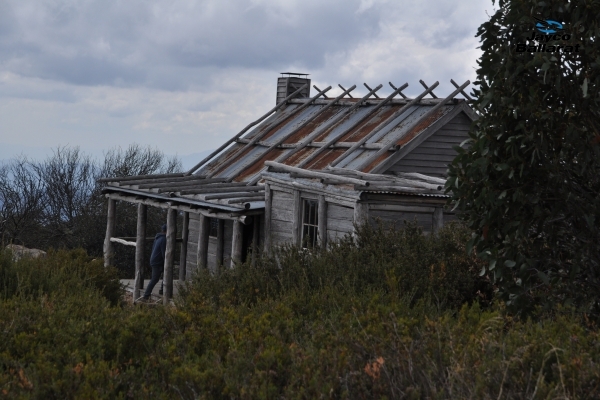 Take a trip back in time, to see the iconic Craig’s Hut, located only 40km east of Mansfield on Mount Sterling. This hut was initially built for the the iconic 80’s film, “The man from snowy river”. However was burnt down on December 11th 2006 in the devastating 2006/2007 bushfires that swept through the Victorian Alps. The bushfire was devastating. It began with a Lightning strike on December 1st it continued for 69 days. This same fire also caused devastation In Tambo Crossing. With a loss of livestock, large sections of fencing, non-residential buildings and an unoccupied house. Due to it’s popularity the Department of Sustainability and Environment decided that it needed to be rebuilt. I am very glad they did. Under the guidance of builder Craig Ogier it was beautifully rebuilt by volunteers, we had the privilege of going to Craig’s hut many times before it was burnt down as well as visiting the new Hut. What we noticed was their were some slight changes between the original and the new hut, however in my opinion the differences are very slight and do not take away from the beauty and serenity that is Craig’s hut. The few differences that I noted, (ie. the roof is now made from tin, instead of the previous bark) The roof is on a different angle. ← Take an adventure to Taronga Western Plains Zoo.